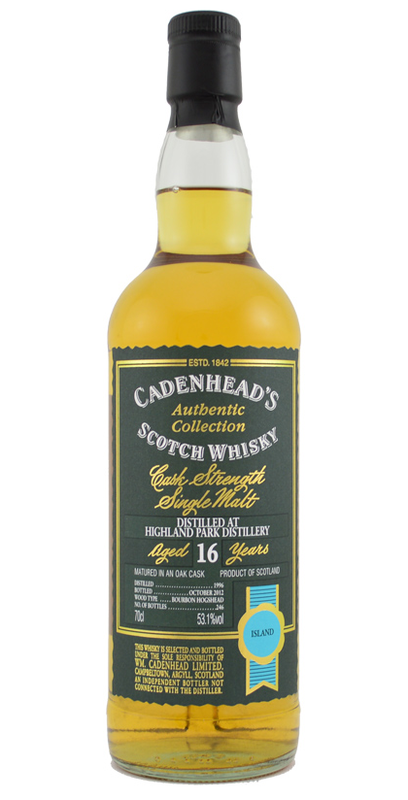 From the Authentic Collection comes this Bourbon Hogshead single cask. Only 246 bottles were made. Chocolate and rum sweetness on the nose. Some raisins as well, but not in the sherry influenced way. Some light fruits and fruity sweetness at first in the taste. Lot of pears, and then you get the vanilla and honey sweetness in the finish. You can easily give this some water. The smell gets a bit more light fruity and the finish opens up for a bit more fruity notes as well. Mighty fine bourbon cask whisky. I will give this 89/100 (22/22/23/22).